Round steel tube for Booster 390 trampoline. Circular steel framework for a Booster 390 trampoline. This circular tube will allow you to repair your trampoline without changing the entire framework: it is a cheap solution to keep your framework in good condition! The circular component is an essential part of the framework of your trampoline: it should be changed if it damaged or deformed. - This circular tube is adapted to the Booster 390. It can also be used on trampolines with tubes that have cinched ends measuring 48 mm, with 11 holes for the springs and ends that fit together using T-junction components. 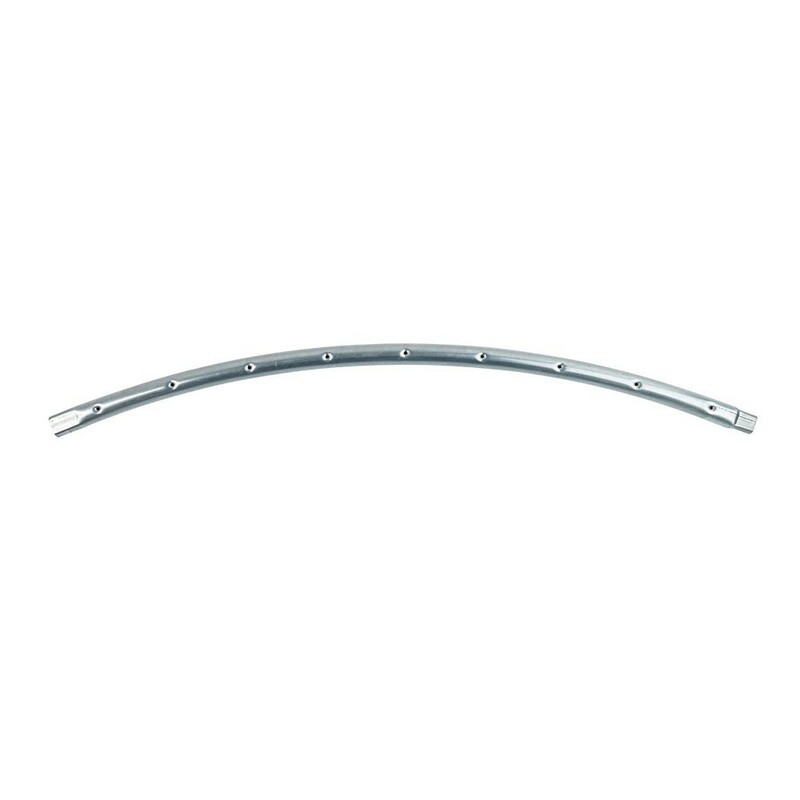 - This circular component is made using a galvanised steel tube of 48 mm in diameter and 2 mm thickness. The thickness and diameter of the tube guarantee solidity. Teenagers and athletes can use this trampoline durably. 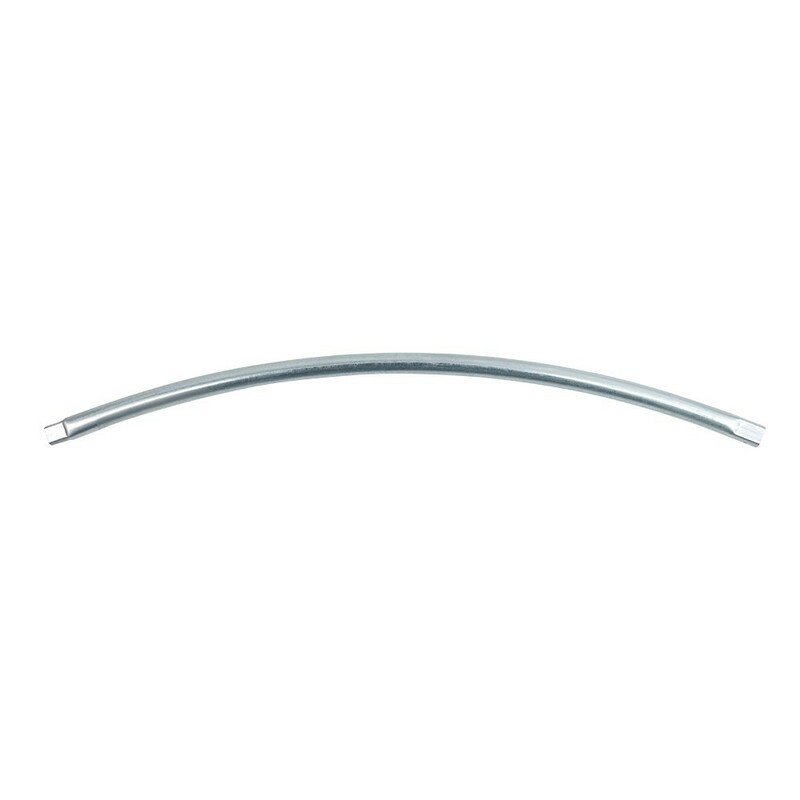 - The cinched tube allows it to fit into the T-junction component. This specificity allows us to avoid using any soldering which is less solid and durable then this T-junction component. If you have any doubts about the compatibility of this component with your trampoline, do not hesitate to contact us: we will help you to choose a component adapted to your trampoline. Warning: The springs and T-junction components mentioned are not included with the circular framework.